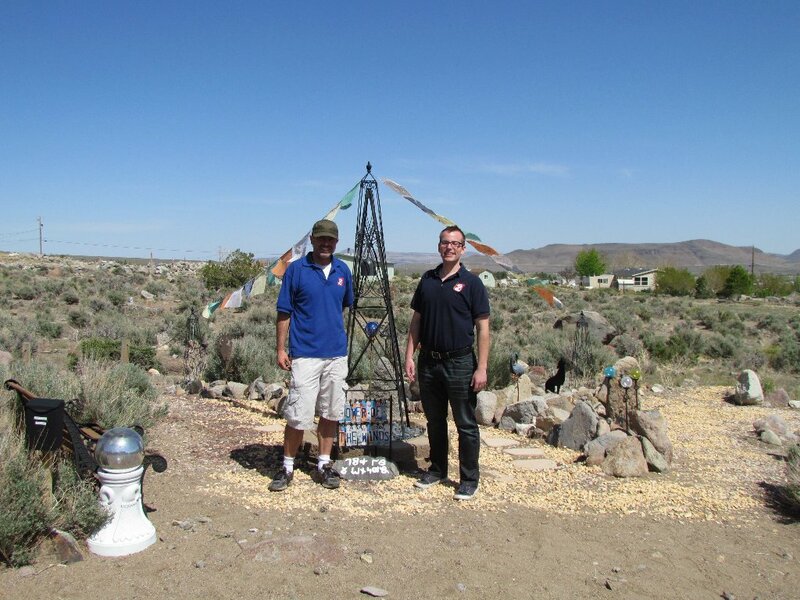 On 26 April 2013 XXXVI The Republic of Molossia was visited by Adam Rasmussen and Brad Horn, a news team from KTVN Channel 2, a television station in nearby Reno, Nevada. This marks only the third time that local media has come to our nation, the others being in 2008 XXXI when a reporter from the Reno Gazette-Journal toured Molossia and last summer when Jen Wahl from KRNV Channel 4 visited us. At exactly 1:39 PM MST, Adam and Brad arrived in Molossia and immediately set about seeing and filming the sights. After filming our great nation for about a half hour, the duo sat down with His Excellency, The President for a short interview in the Presidential Office. Following that, The President answered a few more questions in Red Square, and then Adam and Brad interviewed The First Lady, getting her views on life in the world's smallest sovereign republic. This wrapped up the visit, and after the requisite photo op, Adam and Brad returned to the US, to file their report about Molossia. The story is tentatively planned to air in early May. We wish the valiant news team well and thank them for coming to visit our nation. 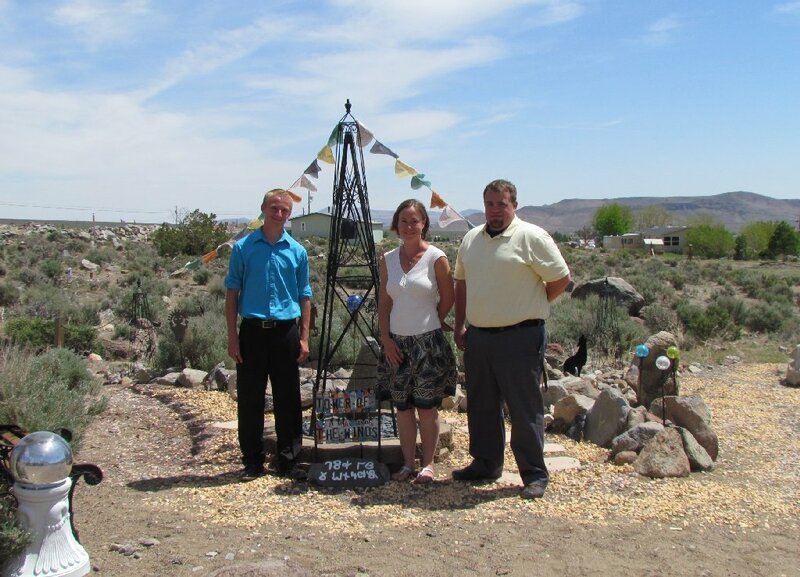 On Sunday, 28 April 2013 XXXVI, Molossia was visited by our first tourists of the year. At about 10:24 AM MST Honey, Paul and Tobias arrived in our nation, traveling from nearby Dayton, Nevada just a few Imperial Nortons from Molossia. Honey is a great fan of Molossia, and missed an opportunity to visit us last Founder's Day. She made up for it this year, wasting no time in scheduling a visit as soon as our tourist season opened. For about two hours the trio explored Molossia, escorted by His Excellency, The President, The First Lady and Chief Constable Alexis. They saw all the sights of our nation, including Red Square, Norton Park and the Tower of the Winds. The President as usual regaled our visitors with the story and culture of Molossia, ensuring they had an enjoyable visit. Honey took notes, to be used in an upcoming college class presentation about our nation, which His Excellency will be attending as well. Finally, their curiosity about the world's smallest republic satisfied, Honey, Paul and Tobias returned to the United States, destined for adventures elsewhere. We are happy as always to have hosted these three intrepid travelers and fans of Molossia in our nation and wish them well on their future pursuits.